"We joined our voices and screamed and moaned"
Jack White: His Walther PPK is just out of shot. Jack White has been speaking about his James Bond collaboration with Alicia Keys, and it turns out that he's fancied working with the singer for some time. "After a couple of years of wanting to collaborate with Alicia Keys, it took James Bond himself to finally make it happen," says White. "Alicia put some electric energy into her breath that cemented itself into the magnetic tape. Very inspiring to watch." White wrote, produced and sang on the theme, called Another Way To Die. He's indicated that he and Keys tried to relate not just to each other, but also to the characters in the new film, Quantum of Solace, during recording. "I drummed for her voice and she mimicked the guitar tones," he says. "Then we joined our voices and screamed and moaned about these characters in the film and their isolation, having no one to trust, not even themselves. Maybe we became them for a few minutes." "Alicia put some electric energy into her breath that cemented itself into the magnetic tape." 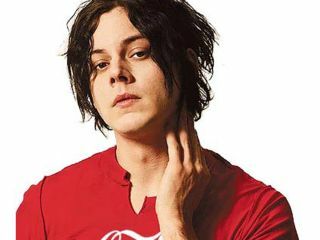 The White Stripes man also revealed that the collaboration "gave me a new voice, and I wasn't myself any more". Another Way To Die might be one of the most eagerly anticipated Bond songs for some time, but that doesn't mean White doesn't feel the weight of history on his shoulders. "It might be the first analogue Bond theme in 20 years. We wanted to push soul into those tapes, and join the family of Barry, Bassey, Connery and Craig," he said. Quantum Of Solace is due to be released in November.